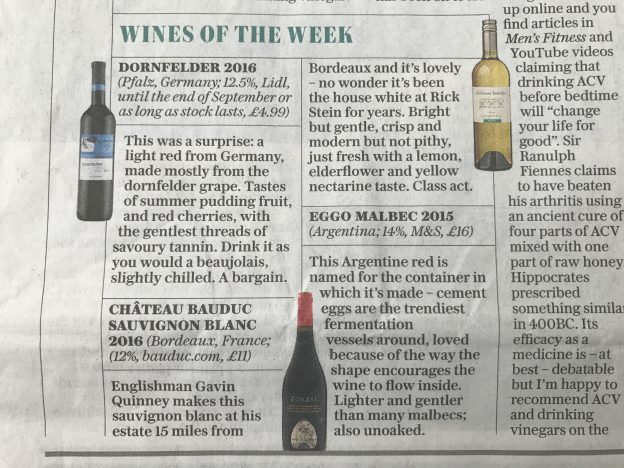 We were delighted that our Bauduc blanc was selected by Victoria Moore for her white Wine of the Week in her Saturday column for The Telegraph (12 August 2017). The wine is available for UK delivery here. Naturally, we sent an offer out to our mailing list – if you’d like to join, please do.